We writers love words. Many of us love speaking these words aloud almost as much if not more than writing. That's because we have opinions - opinions we believe ought to be shared. Even to the point of friendly discussion unless that's impossible because someone completely stupid won't understand. But sometimes we opinionated verbalists take a moment and realize we need to fuel our minds and stabilize our opinions with facts. That's why, occasionally, we choose to listen. Old English hlysnan ‘pay attention to,’ of Germanic origin. I have found that listening to music all day long can be quite dissatisfying. I clean a lot. Most days I clean eight plus hours. 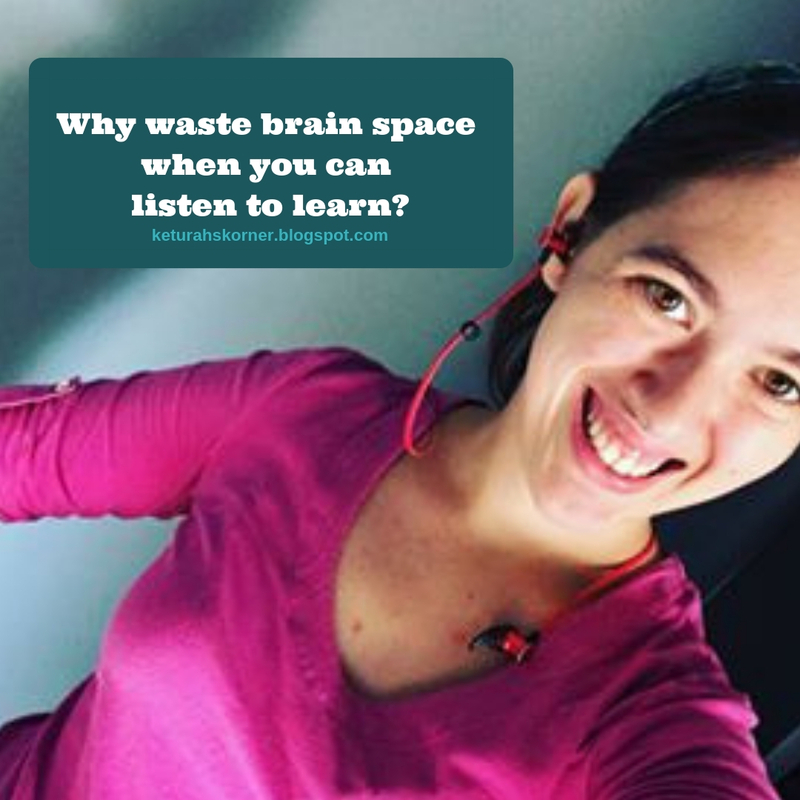 I decided that I could do more - learn more - as I cleaned by filling my ears and mind with productive words other than just music. Disclaimer: I still listen to music, but that's the spice now rather than the main dish. I'd like to share with you exactly what I've been listening to and the opinions I've gathered from hearing. Phylicia is a blogger I mostly follow on Instagram, and somewhat on Facebook. 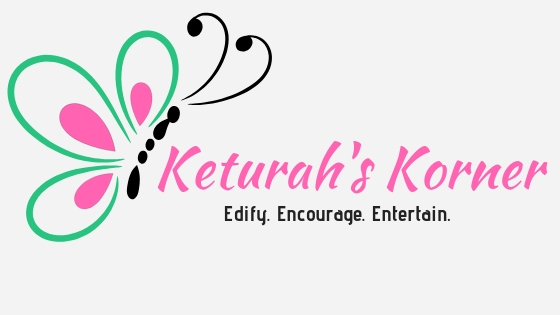 She writes about theology, single hood, dating, and modesty among many other topics. I haven’t listened to many of her podcasts, but I love this one on feminism. If you don’t listen to anything else on this list, at least listen to this podcast. It’s that good. Plus, Phylicia is an ENTJ just like me. This is one of the first podcasts I discovered and started listening to. It's created by a woman named Helen Zaltzman, and she has a lovely English accent! It's a podcast about words — doesn't that sound fun? She is very liberal, so her episodes are sprinkled with homosexual agenda and language. But if you can overlook that (sometimes it's hard) you can learn a lot. I loved her episode titled Mountweazel, a podcast about all the made up words in the dictionary — did you even know there was such a thing? Toki Pona is about a made up language with only around 123 words. I loved learning about Eponyms and Portmantnos, words that describe words. And while I don't like tattoos, I've found one of her most recent podcasts titled Skin Story interesting. It's about a woman who is sharing her story with people by having it tattooed on volunteers. This is another liberal podcast, but very informative all the same. It's a political podcast and the hosts take tweets from Donald Trump and teach on constitutional law and theorize how this might play out with a President like Donald Trump, the president who loves twitter and saying outrageously insane things. I don't agree with a lot of their views, but they do well not beating you with opinions but handing you actual constitutional information. So I tend to enjoy it more than not. What can Trump do? What can he not do? Can he be prosecuted? Can Trump create a law by posting it on Twitter? Roman Mars, the guy who also co-hosts Trump and Con Law, is the host of this podcast. Now while I've listened to every episode of the last two podcast, I've only heard a handful of these podcast. I really loved the one called Unpleasant Design. It is about public places designed to keep away certain things: birds, homeless people, teens, or anyone who might want to stay longer than purchasing might warrant. Things like spikes on fences, divided benches, and such. This entire show is about architecture: the history and politics of it. And while I never thought such a subject could be interesting, it actually is very much so. The episode on Challenge Coins I found informative, too. This is a podcast that teaches many languages, including French, Spanish, Italian, and Chinese. I've been listening to their episodes on German and am nearly done with season one. The podcasts are free, but you can pay for more material if you want. Once I finish season one I plan to purchase a subscription and go through it again to learn better. Their one-liner, Love People Use Things, The Opposite Never Works is one of my favorite quotes and is currently my phone and laptop screen saver. I listened to a lot of their podcasts and really learned a lot. As I clean a lot of houses I'd already come to realize that things clutter up lives. And seeing how other people's things don't hold sentiment to me I started wondering why my own things should be special to me when they only add clutter to my life. I really think their Sentiment podcast is worth listening to. One thing they say, is becoming a minimalists isn't about getting rid of things. It's about keeping only what is adding value to your life right now. That means if you are holding onto to it for someday it's probably not adding value, but crowding your life. For some people, they find value if have next to nothing so that their time can be full of friends and family. Some (like me) will still find value in owning 2000 books. But that doesn't mean I need to have tons of other things, too. I also loved the podcast on Writing. I learned a lot from that one, and it was in an unlikely place — a declutter podcast of all places! Make sure to check out their podcasts on healthy, eating, and clothing, too if you are interested in simplifying your life. Warning: Sometimes the podcast is usually clean, but there are times when they swear or talk about living with their girlfriends. One of my friends sent me a podcast on prayer awhile back, saying she would probably never view prayer in the same way again. I listened to it, and it started out with the questions, "What is Prayer?" I paused the podcast to form an answer then continued to listen to see what the guy had to say. I have heard a lot about prayer. Yet this podcast did make me see it in a whole new light. And I loved it so much I decided to listen to all of the other podcasts by the guy. I found quite a few I loved even more on: The Third Commandment, Tithing, The Symbol of the Cross, and Faith. He has an amazing series that deals with betrayal and repentance — do we really have to forgive everyone, or is forgiveness a two-sided thing? That series is an eye opener, because it made me realize that letting go and loving doesn't mean that I have to pretend I was never hurt. And then in his podcast about German Churches during WWII he brought up the question of how could so many Christians turn a blind eye to the death of millions of Jews, and would we do the same with people today? "Will we stand up for those that are persecuted, not matter how different? Even if they be Mormons?" I didn't really like his podcast on Women's Roles. While I agreed with some of it, he didn't use as much proof as he did in his other podcasts. I disagreed with his examples and that podcast just seemed to be very feministic and "emotional" rather than rational. Also, he does use some strong language throughout some of his podcasts, and sometimes some vulgar references for examples. Yaron Brook is a political podcaster that promotes Ayn Rand (something I don't agree with, mostly). I'm not sure what you'd call Yaron Brook. He seems to be in his own category under Ayn Rand. I really enjoyed his podcast when I first discovered it. I don't have links to any specific episodes I liked, because it was such a long time ago that I listened to him and I can't find them now, but I really enjoyed what he has to say about Capitalism. He made some of the best arguments I've ever heard for Capitalism. I really recommend sorting through his episodes and listening to one of those. The first time I didn't like what he said was when he spoke on guns. He said something like, "Guns are good, but guns are bad. There's another way. But I don't know what that way is. So meanwhile I'd be OK with not having guns at all. "It felt like a very uneducated thing to say. And then I started learning more about his deeper core beliefs. And wow. He's a Jewish atheist who believes we should be focused on self first, and if it benefits us, focus on others. I'm not joking. I thought I was hearing wrong at first. But no. He used the example of being married. "If you aren't happy, why remain married? That's not loyalty to remain in a false situation. So do what you want. Get a divorce." In one episode a young guy called, "I'm with a girl right now. I like her a lot, but I don't see her in my future. Is that OK?" And Brook was like, "Certainly! Sometimes people add value to our life for a time. Take advantage of that and when you find something/ someone better go for it. Life is all about progress and survival. Learn more and go up the chain more and that's how you succeed in anything." These aren't direct quotes. But the ideas are all there. I discovered a lot of this listening to debates between Ben Shapiro and Yaron Brook. Here's the first part from Ben Shapiro. And here's Yaron Brook's answer. After those, I stopped listening to Yaron Brook. You could say, I moved on and found someone better. Wow. I'm hesitant to link Radiotopia because while some of their podcasts are really good, many of them aren't. And by not good I mean a lot of language and sensuality. But if you search through the different podcasts you'll be able to find some good episodes. For awhile I listened to some of the fiction podcasts (careful to find ones that looked to be appropriate), law and life podcasts, and such. I listened to Millennial for awhile, but didn't like where it was going (nowhere). Everything Is Alive was weird and borderline. Mortified was interesting, but probably won't listen to much more of that. The Truth is a fictional podcast and has a few good stories, but not many. Ear Hustle is very interesting, but has a ton of language—it's made by men in prison about prison life. I plan to listen to more of Criminal because it seemed interesting and educational from what I've heard. Benjamin Walker's Theory of Everything has series, and I listened to some of them, but they weren't really my thing. I think this is just a bit longer than I meant for it to be ;D But maybe you found some interesting podcasts to listen to? Have you heard any of these before? And are there any not here that you love? Because I'm always looking for new podcasts! I don't listen to lots of podcasts, mostly because I don't have time. I only rarely listen to music while I work, and then while I write I often don't listen to anything (or plain soundtracks). I do occasional listen to The Tolkien Professor, though. Some of his stuff is quite interesting! I definitely love that my work allows me time to listen to podcasts! I love listening to lyrical music while I write ;D I LOVE MUSIC. Just not eight-ten hours of it every day ;D I'm going to have to check out The Tolkien Professor - thanks for the recommendation! I love music, I listen to wide variety so I never really get board of it. I do love The Bright Eyes Podcast. I have never listened to a podcast...however, it looks as though I'll definitely need to try it out. :) These look so cool! These sound cool and informative! I will be honest: I do not like Trump, but I am defintely against bashing him just because he's Trump, so its nice to hear of podcasts that are to the point and honest. Hey, I have VERY mixed opinions about Trump. I think he's a terrible person. But I also find him super entertaining. I like how he doesn't let people push him around and how he doesn't strive for political correctness. But I also don't like that about him when it causes him to be cruel to some. So I really enjoy listening to both liberal and conservative opinions on him as I feel it gives a balanced picture of who Trump is. I really like Ben Shapiro's and Steven Crowder's opinions of him -- they don't like a lot of things about him, yet still point out the good that happens to be in him. I'm gradually becoming more and more interested in podcasts, so I love this post. Bookmarked it to come back to! I love being able to learn while doing everyday tasks! Recently I've been loving the Bibliofiles podcast--all about great books and literary themes! I recently had the privilege to hear Ben Shapiro speak at the March for Life, but surprisingly have not been exposed to his media before now. I'll have to change that! Oh, I'll be checking out Bibliofiles. Thanks for the suggestion.